the Emmy Award-winning creator Steven Bochco of esteemed series like Hill Street Blues and L.A. Law, along with newcomer Eric Lodal. "Murder in the First" is exclusively distributed by WarnerTV and was launched last December 15, at Red Panda Bistro, East Kapitolyo Pasig. I was not able to see the "mystery drama" presented before the eyes of the bloggers during that time. I was late for the launch, traffic was bad coming from Makati going to Edsa. But anyway, seeing the review it was heavily favored as it offers pleasurably typical twists and natural, attention-grabbing characters. MURDER IN THE FIRST, which takes an up-close and personal look at a single complex homicide investigation, marks its Philippine debut exclusively on WarnerTV on Thursdays at 9:50 p.m. 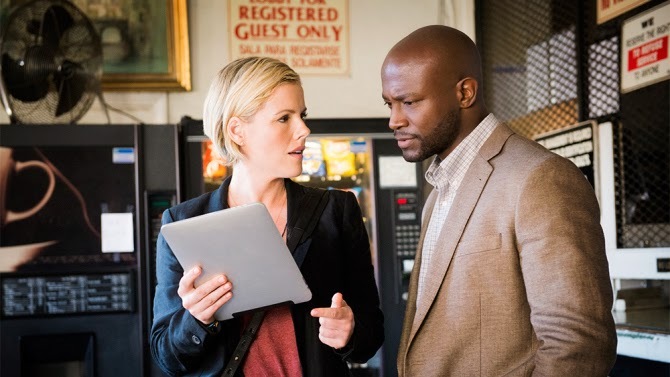 The entire season of the police drama follows the investigation by San Francisco homicide detectives Terry English (Taye Diggs) and Hildy Mulligan (Kathleen Robertson). The story takes two unrelated crimes that pit Silicon Valley Erich Blunt( Tom Felton, Harry Potter films) in the middle of the crime scene. 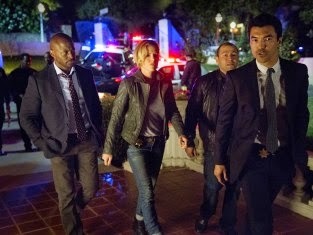 Murder in the First stars partner investigators in the San Francisco Police Department homicide unit who are assigned to take on the case. It also stars Mimi Kirkland (Safe Haven), Raphael Sbarge (Once Upon a Time), Lombardo Boyar (The Bernie Mac Show), Ian Anthony Dale (Hawaii Five-0), Bess Rous (What Just Happened), Nicole Ari Parker (Revolution), Currie Graham (Raising the Bar), Richard Schiff (The West Wing), James Cromwell (Babe, L.A. Confidential) and Steven Weber (Dallas, Wings). Set in San Francisco, the series follows homicide detectives Terry English (Diggs) and Hildy Mulligan (Robertson) as they investigate two murders. The mystery deepens, however, when they find both murders have a common denominator in Blunt (Felton). Terry and Hildy's fellow detectives in their squad include SFPD homicide inspector David Molk (Sbarge), a thoughtful philosopher-cop and frequent class clown, and his tough-as-nails partner inspector Edgar Navarro (Boyar). The ambitious and no-nonsense Lt. Jim Koto (Dale) serves as the squad's supervisor. Supporting Blunt in his endeavors are Bill Wilkerson (Weber), his long-time friend, driver and pilot; and Ivana West (Rous), the company's brilliant Chief Technology Officer. Blunt's legal team includes David Hertzberg (Schiff), his gruff lawyer and trusted confidant, and Warren Daniels (Cromwell), a legendary criminal attorney brought in to assist when suspicion turns to Blunt. Facing them in the courtroom will be the remarkably brilliant District Attorney Sonia Perez (Parker) and pit-bull Chief Prosecutor Mario Siletti (Graham). Murder in the First also takes viewers into Terry and Hildy's home lives. Hildy is a single mom with an inquisitive daughter (Kirkland). Terry, meanwhile, is struggling to take care of his terminally ill wife, Emily (guest star Anne-Marie Johnson). 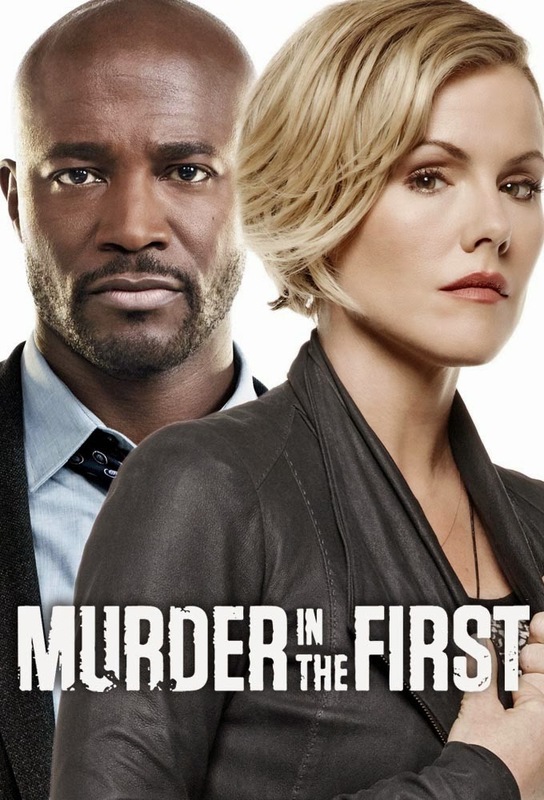 Murder in the First is executive-produced by Bochco (Justified, The Pacific) and Lodal and distributed internationally by Warner Bros. International Television Distribution. WarnerTV is available on SKY cable channel 77, Destiny Cable channel 80 and Cignal channel 66. Contact your cable operator to subscribe now.